Some people say there are no good snakes but I don't agree. Non-venomous snakes are fine by me and I am not particularly hateful of venomous ones either. But a friend of my wife's saw a king snake in his yard but just let it go its merry way. A few days later he was greeted by this on his back porch. 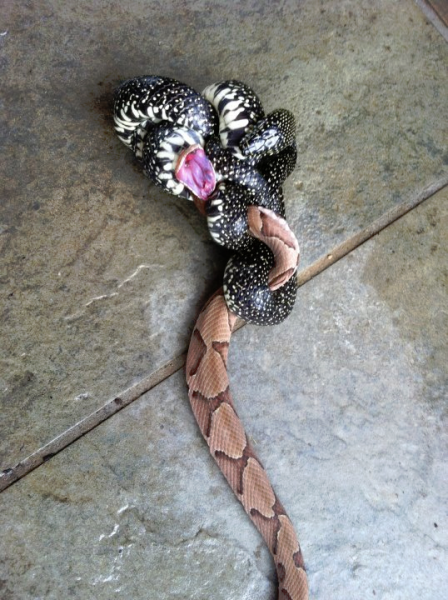 The king snake making short work of a copperhead.